Beyond the visual charm of Christmas lights and the auditory joy of Donny Hathaway's "This Christmas," the tactile pleasure of unwrapping a present and the sweet taste of sipping eggnog, the holidays also include the delightful scent of… uh… 11 herbs and spices?? 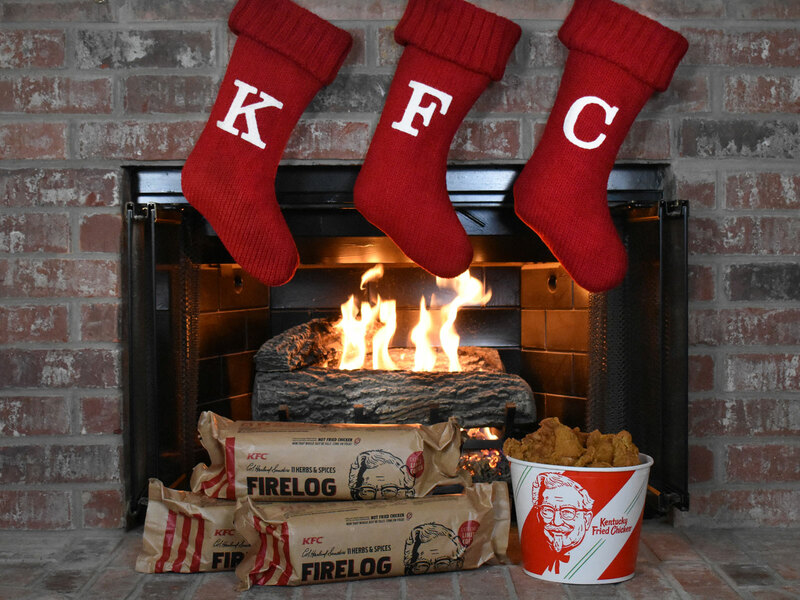 This year, Kentucky Fried Chicken is trying out a new Christmas tradition, encouraging you not only to celebrate the holiday season with a KFC $20 Fill Up, but also by filling up your fireplace with their new KFC 11 Herbs & Spices Firelog from Enviro-Log — the only yule log "imbued with the unmistakable, mouth-watering aroma of Colonel Sanders' secret recipe." 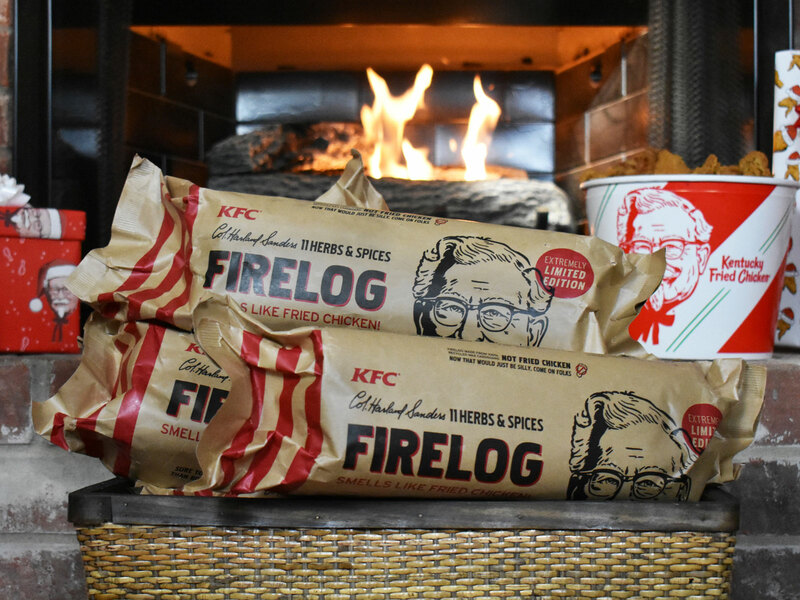 Despite the stunt-like nature of these new fried chicken-scented logs, not only is the KFC 11 Herbs & Spices Firelog very much real, they're also surprisingly easy to get your hands on. Starting today, KFC is selling the logs for $18.99 (which includes shipping) while supplies last at www.KFCFirelogs.com. Beyond its unexpected scent, the log also boasts other benefits: Enviro-Log constructs the log from 100-percent recycled materials, meaning they're about as environmentally-friendly as recreationally burning something can be, I guess. Additionally, the Firelogs can apparently burn for up to 2.5 to 3 hours, which seems like more than enough time to have your living room smell like a fast food joint. Lastly, KFC says that the log has "no shelf life," meaning if 2018 isn't the perfect year to make your Christmas smell like KFC, you can always save your log until the next millennium. "At KFC, we have always been proud of our role in bringing loved ones together at the dinner table around a bucket of our world-famous fried chicken," Andrea Zahumensky, CMO of KFC U.S., said in a statement. "Now, this winter we're bringing all the things we love — family, friends and fried chicken — together around the fire." Okay, but what about the gravy?